Visit the Pitt Police Web site for more information. 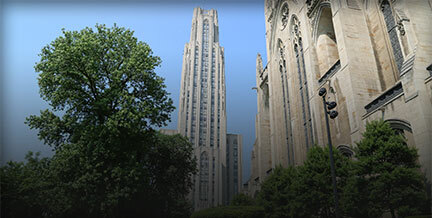 Connect students to the primary mental health service at the University of Pittsburgh. Visit the University Counseling Center Web site for more information. Highlights the ways that faculty and staff can help students in distress. Visit The PittCares Brochure for more information. Visit the Self-care strategies for more information. This resource from the University Counseling Center provides guidelines to assisting a student in distress. Visit the Faculty and Staff Guide to Helping Distressed Students for more information. Help students find reasonable accommodations and resources. Visit the Disability Resources and Services Web site for more information. Learn more about the Pitt Pantry. Join the Pitt Food Share Group. A resource list for students seeking housing, health, and/or food assistance at the University of Pittsburgh. Visit the Pitt Community and Resources for more information. Visit the Jed Foundation Web site for more information. 24-hour hotline to report abuse, exploitation, and neglect of older adults. Also assists with issues involving self-neglect and abandonment. Assists in finding safe and affordable housing, obtaining income and providing health care and education. Provides moderately structured support to 15 individuals with chronic mental illness who also have a history of being resistant to treatment and have been or are at imminent risk of being homeless. The on-site staff provides a variety of support, including assistance with daily living skills, care management, service coordination, and medication monitoring and health and wellness services. Residents enrolled in this permanent housing program receive assistance with room and board, care management, supportive counseling, daily live skills training, medication monitoring, and referral to local resources. The program also creates Opportunities for celebration, socialization and skills building. for emergency shelter after 5pm at 1-866-730-2368: If you are currently homeless or about to become homeless and are looking for shelter or a housing program, please call Allegheny Link at 1-866-730-2368. Assists in locating affordable housing. This is an area homeless resource. Provides publicly assisted housing comprised of traditional public housing, scattered sites and Housing Choice Vouchers (Section 8). CHS will assist individuals and families in a housing crisis to obtain and remain in housing. Provides housing advocacy and comprehensive housing counseling services. Emergency shelter provides a refuge for the night, case management, breakfast and dinner as well as a shower and laundry services for men and women older than 18. Individuals can stay in the Emergency Shelter for up to 60 days. Men’s shelter with 25 beds. Hours are 8:00 pm to 8:00 am with dinner and a cereal breakfast served. Twenty five bed shelter that provides dinner. The hours are 7:30pm-8:00am. This shelter offers employment training, referrals and basic life skills training for homeless woman. This is a domestic violence shelter only and provides counseling and services to victims of domestic violence. The center offers individual counseling, referrals, laundry and bathing facilities and many other services. This shelter serves single women, men and women with children and youth ages 18-21. It has twenty five beds and offers meals, referrals and has laundry and bathing facilities. This facility offers transitional housing for veterans. Provides housing assistance for Veterans. The Greater Pittsburgh Community Food Bank bridges communities and resources throughout southwestern Pennsylvania to help neighbors overcome food insecurity and lead happy, healthy lives.